Healthcare Lawyer | New York Health Law Attorney | Health Law Partners, P.C. 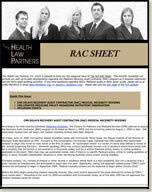 Contact New York Health Law Attorney Health Law Partners, P.C. Robert Iwrey, Esq. has been chosen as one of the Top Attorneys of North America. Robert Iwrey and Alan Gilchrist have been honored as 2016 Top Lawyers in Health Care in Metro Detroit. Robert Iwrey, Esq. was recently honored by the American Health Lawyers Association by being admitted to the 2014 Class of the AHLA Pro Bono Champions primarily for his work on an anti-bullying brochure. Robert Iwrey, Alan Gilchrist, Jessica Gustafson, Clinton Mikel, and Timothy Burkhard have been honored as 2015 Super Lawyers and Rising Stars. Abby Pendleton, Esq. and Jessica Gustafson, Esq. are featured speakers at the upcoming RAC Summit in July in Chicago. For more information click here. Adrienne Dresevic, Esq. was quoted and featured in Crain's Cleveland Business, in the announcement of The HLP's expansion into the Cleveland market. The Health Law Partners have opened a second New York office in Lake Success and is proud to introduce the addition of four attorneys— Claudia Hinrichsen, Esq., Ron Lebow, Esq., Lori La Salle, Esq. and Gina Dolan, Esq. In New York, the HLP practices as The Dresevic, Iwrey, Kalmowitz, Lebow & Pendleton Law Group - A Division of The Health Law Partners, P.C..
Adrienne Dresevic, Esq. was appointed to serve as Chair of the ABA Health Law Section's Health eSource during the 2011-12 Bar Year. The ABA Health eSource is a monthly electronic newsletter with articles on the most recent updates in health law. Robert S. Iwrey, Esq. was honored by d'Business Magazine as a Top Lawyer in Healthcare Law for 2012. Abby Pendleton, Esq. has been named one of the 2011 Women in the Law by the Michigan Lawyers Weekly. Pendleton is one of twenty (20) women lawyers selected around the State of Michigan for this award. Alan Gilchrist, Esq. has been selected to be included in the inaugural class of Fellows of the State Bar of Michigan's Health Care Law Section for his sustained, outstanding contributions to the Section over the years. Robert S. Iwrey, Esq. and Alan G. Gilchrist, Esq. have once again been named Michigan Super Lawyers in healthcare for 2011; an honor limited to no more than 5% of attorneys practicing in the State of Michigan as voted on by their peers. Abby Pendleton, Esq. and Carey F. Kalmowitz, Esq. were honored by d'Business Magazine as Top Lawyers in Healthcare Law for 2011. Robert S. Iwrey, Esq. was interviewed for and quoted in High Profile HIPAA Fines Rattle Health Biz, which appeared in the July 25, 2011 issue of Michigan Lawyers Weekly. Adrienne Dresevic, Esq.’s article, entitled “The Medicare Enrollment Process - CMS’s Most Potent Program Integrity Tool” was published in the American Bar Association’s The Health Lawyer in its April 2011 issue. Jessica L. Gustafson, Esq. was quoted in the Coding Institute’s Part B Insider regarding Medicaid RACs. 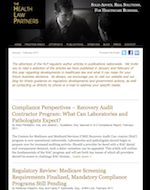 This monthly newsletter will provide you with up-to-date developments regarding the Medicare Recovery Audit Contractor (RAC) program. "How to Comply with Proposed CMS Overpayment Rules"
"Medicare Audit Appeals: Representing Healthcare Providers"